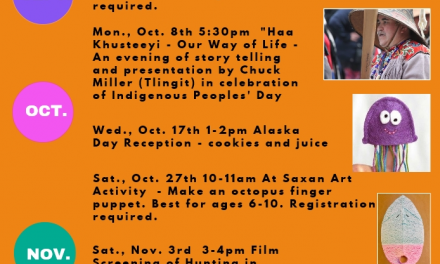 honor of Indigenous People’s Day, the Sheldon Jackson Museum will host a special reception and talk by Chuck Miller (Tlingit) on Monday, October 8th at 5:30pm. During his presentation entitled, Haa Khusteeyi – “Our Way of Life”, Miller will share a selection of artifacts from the museum’s collections storage that are personally significant to him and share stories about how these pieces reflect Tlingit traditional cultural practices and ways of life and his own relevant anecdotes. 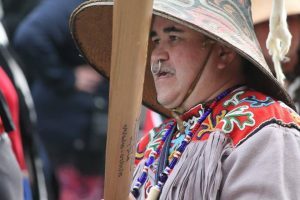 Join us for a personal interpretation of a few rarely publicly seen artifacts and for a celebration of culture through storytelling. 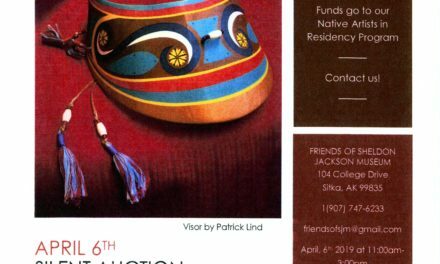 The event, including light snacks and drink sponsored by the Friends of Sheldon Jackson Museum, is free and open to the public and will be held in the museum lobby and gallery. The reception begins at 5:30pm and presentation at 6pm. 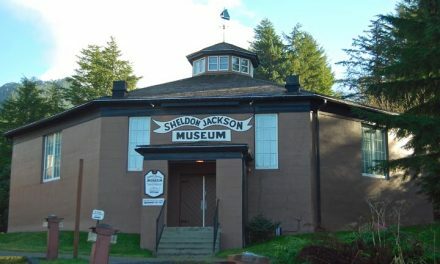 The Sheldon Jackson Museum is open Tuesday through Saturday from 9am until 4:30pm during non-winter hours. The museum will change to winter hours on October 2nd and be open at that time Tuesday through Saturday from 10am until 4:00pm. The museum will be closed during the day, per our regular schedule, on October 8th until the 5:30pm event begins. For questions, please call (907) 747-8981. NextCongratulations, Rosemary Carlton, Volunteer of the Year!